Before Shabdrung Ngawang Namgyel’s arrival in 1616, Bhutan was divided into different valleys and areas held by competing chiefs and temporal rulers. Bhutan only became a coherent and united political entity after this and, even then, soon after Shabdrung’s passing away, local power centers took over again with regional lords calling the shots in their areas. The geographical division was so stark that many regions of Bhutan had more trade and interaction with neighboring foreign countries. These were strife filled and quarrelsome times with Desis or Penlops trying to upend each other and grab more power. Some tradition ballads and stories of this time give an indication of the tough times then. It was only in 1907 that Bhutan again became united as one political entity under one leader in the form of His Majesty The First King. Internal stability and peace given by the Monarchy led to the start of Bhutan’s golden era, which continues to this day. The Monarchy, apart from internal stability and unity, also served an important role of steering Bhutan through a tough and unpredictable neighborhood, where Bhutan’s traditional neighbours were swallowed by bigger powers. The Monarchs also started giving power back to the people, starting from His Majesty The Third King and culminating in the introduction of democracy in 2008. However, despite many leaps made by Bhutan, there are ethnic, religious, language and regional fault lines in Bhutan, like in many developing countries. 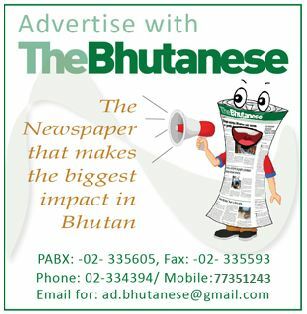 So, paradoxically, as Bhutan democratizes more, it needs the institution of the Monarchy even more to hold together this country and prevent the forces of immoral politicization from ripping open the fault lines and destabilizing the country.